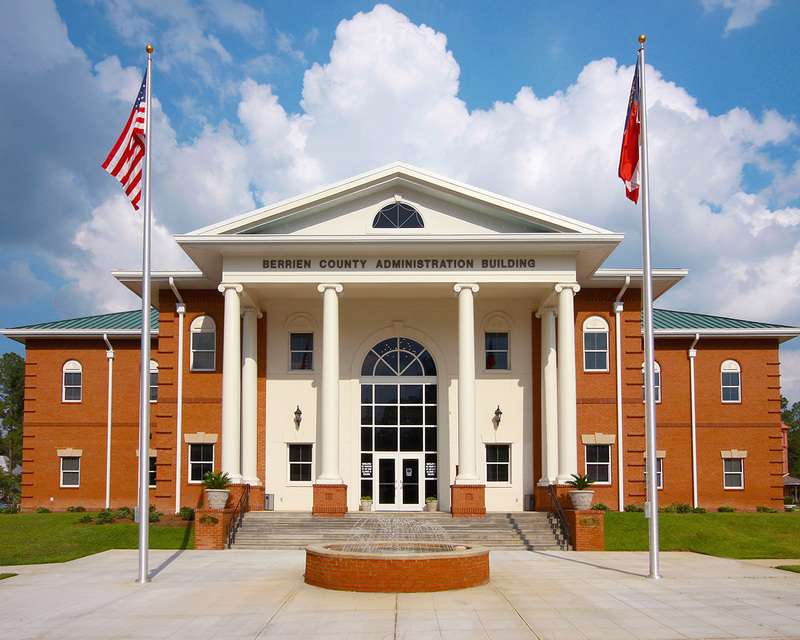 Berrien County was created in 1856 from Coffee, Irwin, and Lowndes counties. The county was named after John Macpherson Berrien, a Savannah lawyer who later served as United States Attorney General under President Andrew Jackson. 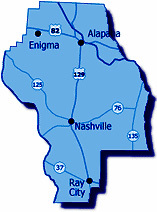 Located in the southern part of Georgia, Berrien County has four incorporated municipalities: Nashville (the county seat), Alapaha, Enigma, and Ray City.Berrien County is predominantly agricultural and is known as the “Bell Pepper Capital of the World”. With a population of more than 16,000 and growing, Berrien County offers a unique atmosphere, with all the convenience and technology of larger communities but loaded with southern hospitality and charm. Whether you like to play ball, drop a line in the water or just take a leisurely stroll, Berrien County is filled with a variety of recreational options. The Berrien County Recreation Department services over 1,200 area youth each year offering a variety of sports including baseball, softball, basketball, football and soccer. The Recreation Department also maintains a total of seven public tennis courts (two locations). For the hunter in the family, there are several hunting clubs within the county as well as preserves that offer private scheduled hunts. If fishing is more your speed, the Alapaha River as well as Patrick’s Paradise provides the area with freshwater fishing, as do the many private ponds and lakes in the county. The economy of Berrien County is very diverse. Agriculture remains a valuable component of the economy; however, we are home to several manufacturing plants including Chaparral & Robalo Boats and Propex Fabrics. Our community also plays host to several unique retail shops and eateries. You have an open invitation to visit or move to Berrien County.